He’s got a way to go before he learns to chase down the frisbee, but it looks like he’s having a pretty good time working in his skills. 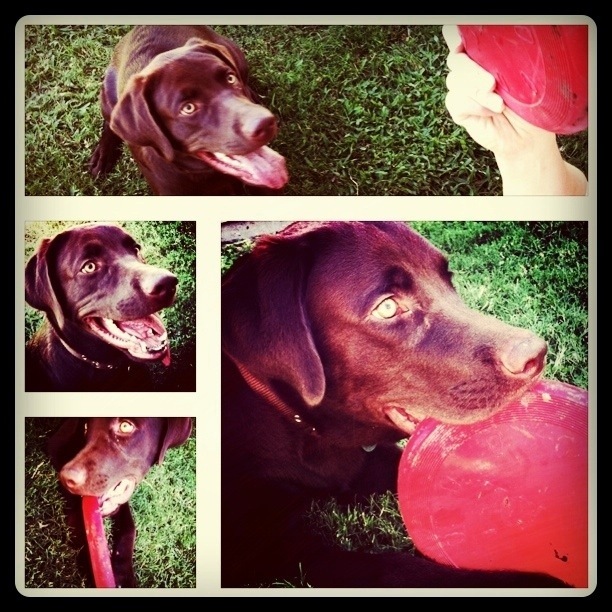 If only we can keep him from devouring the frisbees…. This entry was posted in photos, wildlife. Tagged dog, frisbee, lab, lewis, photo.